I aint missing you at all! I aint missing you at all! 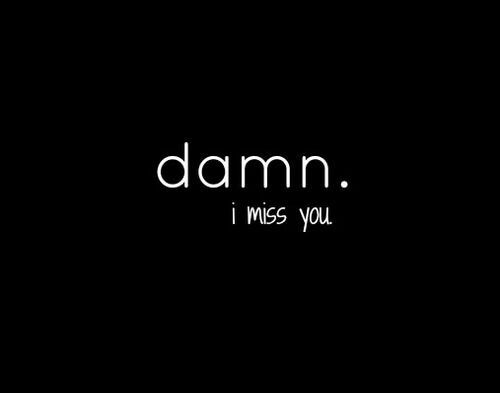 Actually that´s not true, I do miss you, or the idea of you. I miss knowing you are there, somewhere. Waiting for me. Wanting me. Dreaming me. I miss holding hands and planning together. I even miss fighting. I miss you trying to protect me, because I have to defend myself now and I wish you were here to do it for me. I aint missing you at all! I remember when I felt safe, when your arms held me each time I was afraid. I remember not having to ask, because you knew. I remember the looks, deep inside of me, as if you wanted to know me all. I remember the long Sunday mornings, laying in bed, just being what we both new best, me and you.